A green MSME in the real estate and service sector, Paharpur Business Centre offers ready-to-move-in office solutions with smart and modern facilities. It is the first retrofit building in India that is USGBC LEED Platinum EB Certified and BEE 5 star rated building. 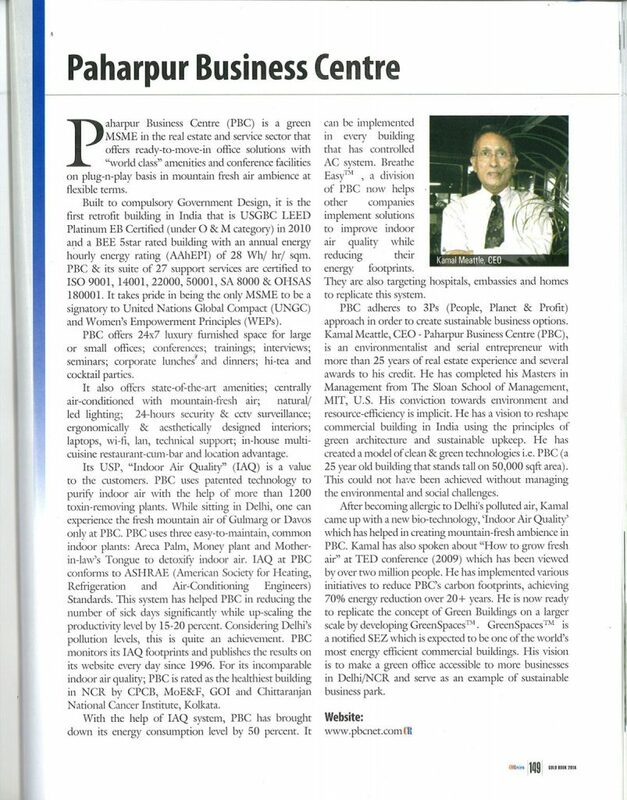 The USP of PBC is the excellent indoor air quality. The centre grows its own fresh air which is pollutant free and hence working from PBC significantly enhances the productivity of occupants. Know more!